Secretary of State Hillary Clinton is expected to notify Congress on Friday that she plans to take Iranian exile group Mujahedin-e-Khalq, or MEK, off a State Department terror list, three senior Obama administration officials told CNN. Notification will be followed by formal removal in coming days from the list of Foreign Terrorist Organizations, which includes more than 50 groups like al Qaeda and Hezbollah. Clinton recently designated the Pakistani-based Haqqani network a foreign terrorist organization. Such a listing attaches a certain stigma and allows the United States to legally go after financing and take other steps against individuals associated with these groups. 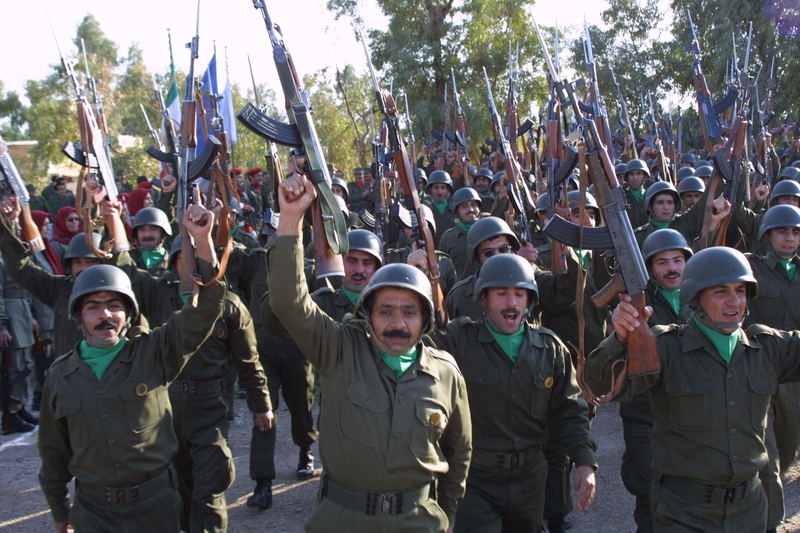 MEK was put on list in 1997 because of the killing of six Americans in Iran in the 1970s and an attempted attack against the Iranian mission to the United Nations in 1992. However, the United States has since 2004 considered the group, living for more than 25 years at a refugee camp in Iraq, "noncombatants" and "protected persons" under the Geneva Conventions. MEK's move from Camp Ashraf is nearing completion under the auspices of the United Nations Assistance Mission for Iraq. The members are relocating to a temporary site there before being re-settled in third countries. The United States has been working with the U.N. High Commissioner of Refugees to re-settle the group. Clinton is under a court order to decide by October 1 whether to remove MEK from the terror list. She has said several times that her decision would be guided, in part, by whether it moves peacefully. "We don't love these people but the secretary's decision is merited based on the record of facts that we have," one U.S. official said. "This was not done casually and it's the right decision." Officials acknowledge the decision was the subject of a contentious debate within the administration. 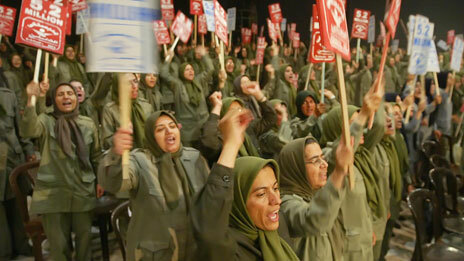 MEK is considered by many in the administration to be a bizarre cult-like organization, prompting concerns about its behavior. Officials say these concerns factored heavily in the debate. MEK denies that it supports terrorism and supporters rally daily in front of the State Department, demanding the United States remove it from the terrorism list. Many members of Congress have pressured Clinton to do the same. Moreover, MEK has paid well-known former U.S. politicians and former administration heavyweights to speak out on its behalf, including former Pennsylvania Gov. Ed Rendell, former U.S. Rep. Patrick Kennedy, former FBI Director Louis Freeh, and former National Security Advisor James Jones. The last major convoy of 680 members of the MEK arrived on Sunday at the temporary relocation site at a former U.S. military base near Baghdad International Airport, the U.N. mission for Iraq said. The State Department said at the time that the arrival marked "a significant milestone in efforts to achieve a sustainable humanitarian solution to this issue." "The big test now is to start getting these people out of Iraq through the UNHCR and that is where we should return. Our ability to succeed on this is based on many factors, especially how the MEK behaves because countries will be determining whether they will take a large amount of refugees from this group," another official said. "If they think the notion of de-listing means they can run wild, that isn't true. If they want to leave Iraq, they have to behave," the official said. MEK leaders have been reluctant to complete the move from Camp Ashraf to Camp Hurriya, formerly an American facility known as Camp Liberty. They complained about conditions at the new camp, calling it more a prison than a home after the first convoy arrived in February. 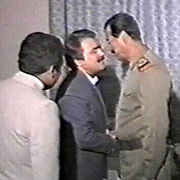 Camp Ashraf was established in 1986 after former Iraqi leader Saddam Hussein invited members of MEK to relocate to Iraq in an effort to undermine the Iranian government, which was then at war with Iraq. Iran also considers the group to be a terrorist organization.